Simpson Farms is an independent, family owned farm located in the rolling hills of East Tennessee producing premium, grass fed beef. The farm was founded by John Simpson in 1888 and it has been the home of cattle ever since. We raise pure bred Charolais cattle, derived from many of the leading foundation herds in the United States. With growing consumer concerns, Simpson Farms made the decision to go against industry standards and raise their cattle all-naturally. Our grass fed cattle are pasture centered, grazing only on Tennessee pasture grasses during the growing season and hay cut from those same fields for the winter months. Great pride is taken in the Simpson Farms grass program where the fields are never sprayed with pesticides, ensuring that the animals remain free of anything not 100% natural. 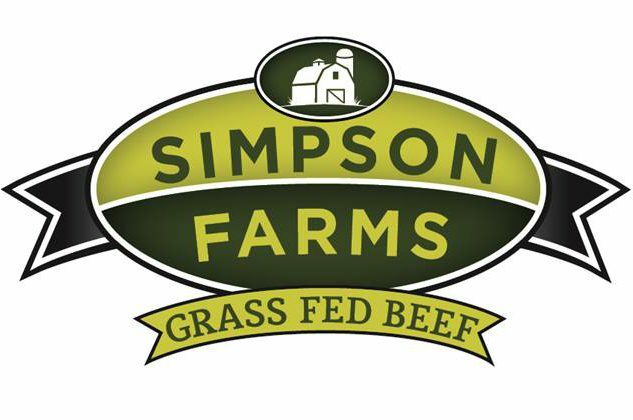 Simpson Farms Grass Fed Beef is free of animal by-products, growth hormones, antibiotics, or steroids. We raise our cattle with the health-conscious consumer in mind!